Once upon a time, there was nothing quite so magical in sports as a heavyweight title fight. From boxing’s golden age, with Ali, Frazier, and Foreman, to the era I grew up, with Tyson, Holyfield, and Bowe, title fights were must-see events that captured the imagination of popular culture. It meant something more than ownership of a belt to be the heavyweight champion of the world. This Sunday in Saint Louis, the hometown of former champ Sonny Liston, two heavyweights could be set to do battle in what would be an epic Missouri Valley Conference championship. In one corner stands MVC regular season co-champions, No. 2-seeded Wichita State Shockers at 27-4, a program that has not only punched above its weight class for years, but landed their share of knockouts as well. In the other corner, the other co-champs and top-seeded Illinois State Redbirds at 25-5, who’ve beat every contender that has stood before them, and are hungry for a chance to play on the big stage. The heavyweight match that most objective Valley observers are rooting for is not inevitable, however. There are a few wannabe Buster Douglass’ in this group. And why not? Rarely does Arch Madness go down as scripted. There is an upstart in Loyola (CHI), an annual contender in Northern Iowa, as well as Southern Illinois and Missouri State, two programs familiar with postseason success. This season seems like an anomaly. The MVC is a balanced league from seeds 3-8. Any of these teams can beat the other on any given night. One of them could put a scare in Wichita State or Illinois State. But in the 2016-17 version of the Valley, this conference appears to be top-heavy in the extreme. It’s not that the midlevel teams are bad. No, the heavyweights are simply too good. They need to lace up on Sunday for a title game to remember. We, as college basketball fans, need to see it. Here’s how we get there. For the second year in a row, Drake checks in as the No. 10 seed. Both teams had disappointing seasons, but Bradley has two promising freshman (Darrell Brown and Koch Bar) who would benefit from an extra tourney game. A close game would not surprise me. A Drake victory would. What a difference a year makes. Last year, Evansville lost a heartbreaker to Northern Iowa in the MVC finals. En route to that loss, the Aces drubbed Indiana State 68-42 in the semis. Evansville senior Jaylon Brown is a player to watch in this tournament; if he gets hot, the Aces could have another run in them. Despite what promises to be a close game, the Sycamores are unlikely to end Brown’s stellar Valley career. Congratulations Evansville! You get to come back fourteen hours after a hard fought win to battle an Illinois State team that has been waiting an entire year to get back to this tournament. Make no mistake, the Redbirds can still taste the bitter swill of last year’s quarterfinal loss to Indiana State. No way Dan Muller’s squad comes out flat. They will take it to the Aces and advance to the semifinals. The Salukis represent a tough matchup for the Ramblers. Both teams are led by seniors— Sean O’Brien for SIU and Milton Doyle for Loyola. Both have the talent to push their team to an Arch Madness run. More likely, these two teams pummel the crap out of each other for 40 (or more!) minutes and whoever is left standing has little in the tank for the semis. The Salukis seem to have a slight edge, but I like Doyle, and the cliched tough-to-win-three-games-against-one-opponent argument. Wichita State is a supposed bubble team, although one has to wonder who actually thinks TCU is better than the Shockers. A loss to Bradley would be devastating for Wichita, but since the Shockers took down the Braves by about a zillion points in their two combined victories, I find it difficult to see any way Bradley wins this game. The future looks bright in Peoria, but this is the present, and today still belongs to the Shockers. The defending champion Panthers split with the Bears this season, with each team winning on the road. This portends a great quarterfinal matchup, especially when you factor in Northern Iowa senior Jeremy Morgan playing in his last tournament, and Missouri State’s standout junior Alize Johnson, who might be the best overall pro prospect in the conference. The Panthers have owned St. Louis in the past, but this one smells like an upset. The Redbirds are on a mission, and this team is too deep to stumble against the upstart Ramblers. Credit to Loyola, a program many thought would struggle in the Valley. Two years in, it is safe to say the Ramblers belong. That will be little solace on the trip back home to Chicago, but no shame losing to Illinois State. Will the 2017 edition of Arch Madness be the coming out party for Alize Johnson? History actually says the Bears could easily win this game. 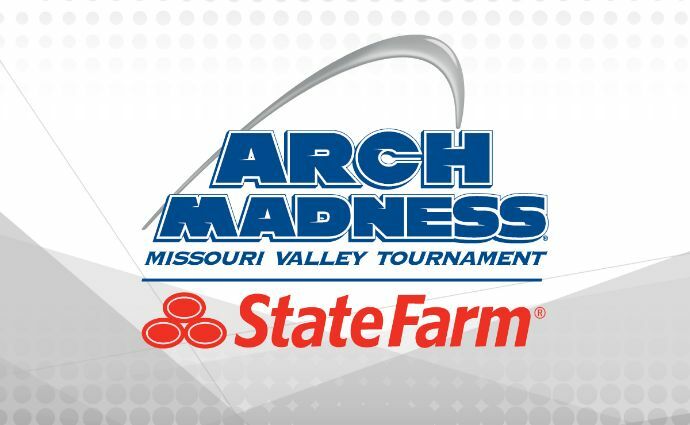 Yes, the Shockers handled MO State pretty easily this season, but the Arch Madness semifinals are where regular season champs have gone to die. Wichita State has only to look at last year’s overtime loss in the semis to Northern Iowa as a reminder. Or, perhaps, as motivation. As for the game, sit back and enjoy this one. Greg Marshall and the Shockers are deep and versatile. It is tough for a freshman led team to win over an experienced team like the Redbirds, but Landry Shamet is no ordinary freshman. Experienced guard play wins in the postseason, and led by Paris Lee, the Redbirds have this key variable on their side. And speaking of heavyweights, part of the fun of this matchup will be watching Redbird big men MiKyle McInnis and Deontae Hawkins bang around in the paint with Shaq Morris and Markis McDuffie. This game is a pick ‘em, but there will be one clear winner — college basketball fans all over the country. I know one thing for certain, whoever the champ is at the end of the day will have EARNED it. So there it is Valley enthusiasts. The experience and talent of Illinois State will win out in the end, but that should not leave Wichita State on the outside looking in. It will be a difficult week and wait for Shocker Nation, and purveyors of Pepto will see record business in Wichita leading up to the bracket announcement. But if there is a shred of credibility remaining in the selection process, the Shockers will join the Redbirds for another glorious Missouri Valley March run.